The task of navigating the healthcare system at the best of times can be complex. When you or a loved one is facing a health challenge this often is a responsibility that can become overwhelming. Having someone that can assist you can be the difference between a smoother journey or one coming to the junction of total exhaustion and chaos. Having someone you feel comfortable with to help map the course can be key to navigating through the process. If you would like to have a FREE 1/2 hour consultation to discuss how I may be of service to you or a family member, email me at 4u2mend@gmail.com. The services I can provide can be located on the service page. My goal is to help you sort out and put in place the best plan tailored for you and your loved one specifically. There is no "one size fits all"when it comes to the safety and optimal care for those we love. Even if you are not ready for services, check back often as I will be adding resources to hopefully make the path a little less bumpy. Often until you or a family member has the need for in home care, how to begin the search for a well rounded and trained caregiver is something you probably have never given much thought to. There are many factors to consider and knowing what to look for is vital to help ensure that you get someone who is qualified to do the job they are being hired to do. You may find the following article helpful for the interview..."15 Questions to Ask When Interviewing a Home Care Worker On Your Own"
The task at hand for someone taking care of a loved one who is aging or disabled is complex and knowing what is available and who to contact will be a big help during the navigating process. The Family Caregiver's Alliance website offers a great resource "State by State Help for Caregivers"
IS IT TIME TO TAKE THE KEYS? If you have aging parents, the time will come when you will ask the question "is it time to take the keys"? 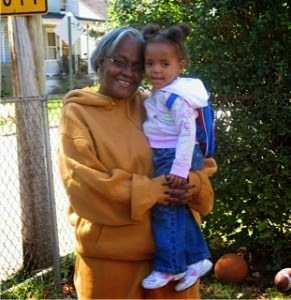 From my own personal perspective, I have always wanted to allow my mother, now age 85, to remain independent, but at the same time dreaded as she was getting older how would I approach this topic. This issue is not only concerning the safety of your loved one but also a responsibility you have as a caregiver to try to ensure the safety of others who's lives could be impacted by your elderly loved one driving. 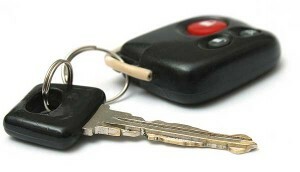 Read how to approach this topic in "Is It Time To Take Away The Car Keys". After the experience of having several family members hospitalized over the past couple years, one thing that I came to understand that should be part of the process was DISCHARGE PLANNING. Unfortunately what I found was that too often the idea of discharge planning was a phone call the evening before the planned discharge day to inform the caregiver. In the case where a nursing home or rehabilitation placement was needed you are given a list of facilities and told you need to choose one by the end of the day so the social worker could begin to make call to inquire of bed availability. Now if you are the average caregiver this adds to the heightened stress level that already exist from having an ill family member.This inadequate planning process can often lead to re-hospitalization and caregiver burn out. What is important to know is that YOU the caregiver have a voice and being assertive will help ensure that things are done in a manner that will be beneficial both for you and your loved one. I have always told individuals "FRIDAY home discharges should be outlawed", especially in the cases of someone with a chronic health condition or recent major surgery. If you leave the hospital on a Friday and something goes wrong after 5:00PM, you the caregiver are stuck and often find yourself on a Friday night in the emergency room. I know this first hand to be true; so after several incidents of having a family member discharged on a Friday afternoon, only to have to bring them to the emergency room that night, I flatly refuse Friday discharges. It is important that from DAY ONE, and every day until you are talking face to face with a social worker, you let a staff person, preferably the charge nurse, know that you need to speak with someone to begin discussing DISCHARGE PLANNING. If you suspect that your family member will need placement, either temporary or permanent, in a nursing or rehabilitation facility, begin to ask question regarding what options are open for your family member based on their insurance. You will need to do your homework once you have been provided with a list of facilities based on your loved ones insurance so you can be sure the facility you choose will be one that you would want them to stay in. Sadly, there are still some facilities that you would not even consider so you need to know which those are. "Stressful but Vital: Picking a Nursing Home" is a great article with links that could assist you as you begin the process. If your family member will be coming home with you, you will want to be sure that if any medical equipment will be needed that you ask the social worker to assist you in obtaining what will be needed. Because some insurance do not pay for such equipment, you will want to check around to see if there are local organizations that have a loaner program. The local office on aging would be a good starting point for this information. Bottom line, you, the caregiver, must become a key player in the discharge process. DO NOT plan on someone from the hospital making it happen, YOU WANT TO BE IN THE DRIVERS SEAT so that YOU along with their help can map out the best plan to ensure the continued care and safety of both you and your loved one. Take time to review the A Family Caregiver's Guide to Hospital Discharge Planning to begin the process. If all this is just more than you feel you can handle, the assistance of a private patient navigator who can assist you through the discharge planning process. You want to be sure when they say "it is time to go home", that everything is in place for both their care and comfort as YOU have determined is best. When most people think of caregiving they think of caring for a family member with a health or mental challenge but there is another group of caregiver that are often in need of assistance...it is the grandparents, aunties, uncles, etc. who have found themselves thrust in the middle of raising another family members children. For whatever the reason a child is being raised by another family member, to help ensure the best outcome of this arrangement, these relative need support and need to know where this help can be found. Grandfamilies.org has a link Kinship Navigator Programs which can be a tool to help guide one to some of the resources needed. The ability to utilize technology to make the job of caregiving easier is a reality if you know where to find and which smart phone applications will help you accomplish your task. Check out the Best Caregiving Apps for 2017. One of the most challenging duties a new caregiver finds themselves in is the management of medications. According to AARP…. 78% of caregivers are managing multiple medications. 31% are managing 1-5 medication, 46% 5-9 medications and 18% over 10 medications. This does not even take into consideration supplements and over the counter (OTC) medications. Thankfully with the use of some innovative applications along with some guidance this challenging task can be made easier. There are some general tips for managing medications that will be helpful for almost anyone. First rule is to keep an updated list of all medications (supplements and OTC) along with the dosage, who prescribed the medication, the dosage and why the medication was prescribed (certain medications have multiple reasons for being prescribed so it is important to document why the medication was prescribed for yourself or your family member). 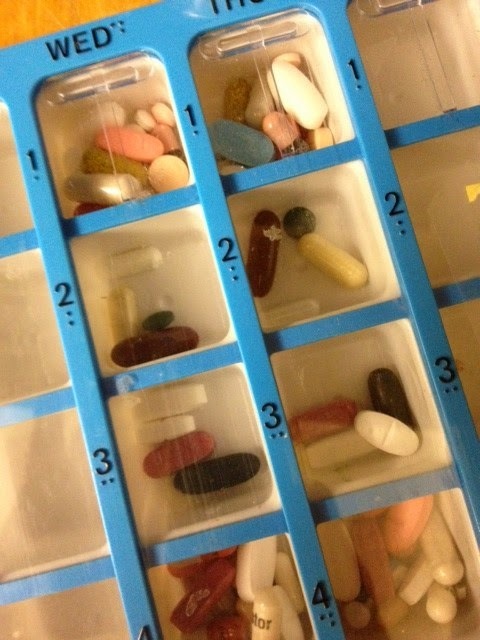 Pillboxes are a must…even if you are managing one medication. This allows you to always know if a dose has been taken or not. You can setup a pill box for a one week or two week time period. Just find something that works for you and be consistent…you will find life is a lot easier. Become familiar with prescribed medications, their side effects, possible interactions with other medications (supplements and OTC) and how they should be stored and taken (morning, night, with food, without food, are there certain foods or beverages to avoid). This is where the most valuable member in relations to medications of your healthcare team comes into play, the pharmacist. Get to know your pharmacist (develop a RELATIONSHIP with him/her). It is advisable to have your prescriptions filled at the same location and if you use a different pharmacy, inform the pharmacist of your current medications if you are filing a prescription for something new. Do not be afraid to ask your prescribing practitioner questions regarding medications. Some good questions would be - “why is the medication needed, how long it will need to be taken, will any diagnostic test be required while taking the medication (an example would be certain medications to thin the blood or to control seizures may require blood test monitoring), and the ballpark cost of medication along with a suggestion of an alternative that may be less costly (no sense in getting a prescription for a medication that cannot be afforded). Are there any known assistance programs for the medication? Physicians may be reluctant to become involved in this aspect of care due to time constraints but as a partner in your care, they must begin to take a holistic approach to their patient’s wellbeing. If you are struggling with medication management…one of the services I offer is to assist caregivers create a medication management plan. 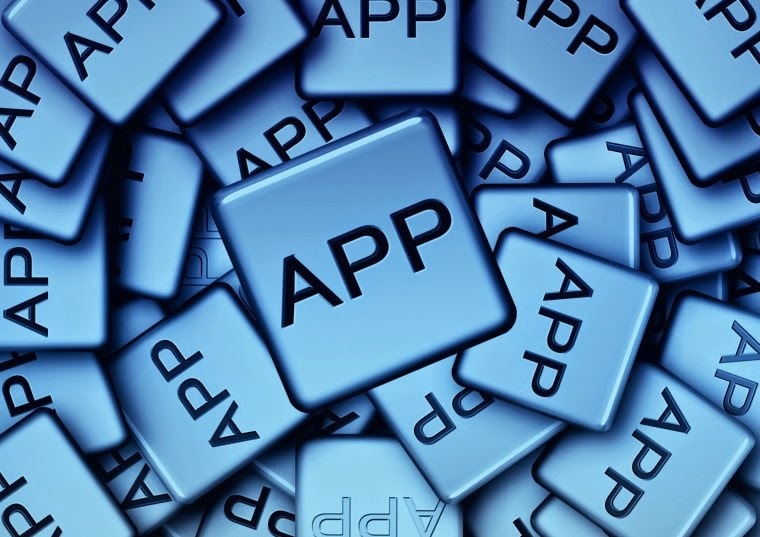 If you have some innovative applications or tips…please email me so I can share them. We live in a world where the uses of abbreviations are commonplace and that which seem to have meaning to some are totally foreign to another. One thing is certain, to provide effective caregiving, one of the most important things you can do for yourself and your loved ones is to learn how to speak and understand the language you may hear during the course of caregiving. You will probably hear reference to terms such as PRN (as needed) or NPO (nothing by mouth) and your familiarity with the lingo will become a vital component of care. The site Senior Resource Guide provides an article containing “67 common medical abbreviations/acronyms” which is a good place to start. You always want to be sure if a term is used that you are not familiar with that you ask the individual using it to explain what it means. Invest the time and effort to learn what you can and remember; when it comes to the caregiving, no question is a wrong question to ask. 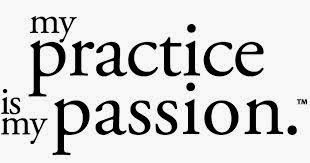 Answer this question; do you always take medication as prescribed by your practitioner? If I am honest, I would have to answer that I have not always been vigilant about it. For me, it was often that I got busy and missed a dose and did not consider that it really made that much of a difference. The reality is whether you take one pill a day or ten, medication non-adherence (not taking medications as prescribed) can become the reason for reoccurring infections, confusion or something more life threatening. As a caregiver you may find yourself becoming extremely frustrated with your loved ones attitude concerning medication, skipping pills or their re-arrangement of the pill box. From a personal experience, for the life of me I couldn’t understand why my loved one constantly was taking whatever day of the week he opened first. To me, how difficult could it be to take Monday on Monday, Tuesday on Tuesday, etc.? To him what difference did it make? For me it was my way of keeping track of whether he had taken his medication and it really mattered when a medication was being phased out and the dosages changed each day. What I have learned over the years, the worst thing one could do is to get into a heated debate over the issue. Success at this requires developing strategies where it becomes a win/win. Work at engaging your loved one in a two way conversation about things that do not seem to be working for them. For my loved one it simple, he could not see the days of the week on the pill box. We switched to a box with large print and color coded day and night. I explained why it was important for me that we work together and things are much better. There are various reasons why a loved one will refuse to take a medication or “forget” to take them. It could be the medication makes them feel different, the pills are too big, I have heard about all of side effects or they cost too much. Whatever the reason, for them the reason/s are valid and they deserve to have their feelings heard and addressed. What may be helpful for them is to have a clear understanding of why the medication is important will as well as the assurance that everyone does not experience adverse reactions but if a side effect arises it will be promptly discussed with their physician. If the pills are too large, checking with the pharmacist to see if they can be safely cut or do they come in a liquid form is an option. Checking to see if there are any pharmaceutical assistance programs to assist with cost or if there is a less expensive comparable medication may address their high cost opposition. The memory issue can definitely be assisted with various alarm reminder systems or applications. I found there were things I needed to change about myself in this equation as the designated medication manager. This is a vital role in caregiving that comes with much responsibility. The most important change I needed to make was to be consistent about pill box monitoring. The pill box is not the Ronko Rotisserie “just set it and forget it”. I could not deduct that because the pills are in the box they will always be taken. I must monitor it daily and be open to making changes that will best suit the needs of the individual I am caring for and not mine. You can always reach out to me for a free 30 minute consultation on developing workable strategies at 4u2mend@gmail.com. Novice caregivers are often thrust into the challenge of doing OJT when it comes to the how to of taking care of a loved one. For a first time caregiver it can truly feel like “baptism by fire”, being introduced to learning skills generally reserved for medical professionals. You can bet one of the areas that can be the most confusing is when a caregiver becomes the medication manager for their loved one. Even for skilled professionals having a grasp of the names of medications and what they are prescribed for can be confusing especially in the case where two medications look, sound or are spelled similar. According to the New York Times article “CASES; Do Spelling and Penmanship Count? In Medicine, You Bet”, a panel of experts identified 600 sound-alike or look-alike pair of drugs that could be cause of medication errors. One helpful tool caregivers can utilize to help eliminate errors is an online site that you can search a medication by name. I like one hosted by Medco Health. You always want to inquire from the physician what each medication is being prescribed for. This information will be helpful when you look up a medication. Another possible challenge a caregiver may encounter is the color or shape of a pill changing from the previous time the prescription was filled. This is often due to a change in the manufacturer who the pharmacy now uses and previously used. In the instance where the color or shape of a pill haschanged, always check with the pharmacy before you give the medication to your loved on. I personally have had a different color pill and it turned out to be a pharmacy error. You never can be too careful. Being the dedicated medication manager for a loved one is a caregiving responsibility that has to be taken seriously. 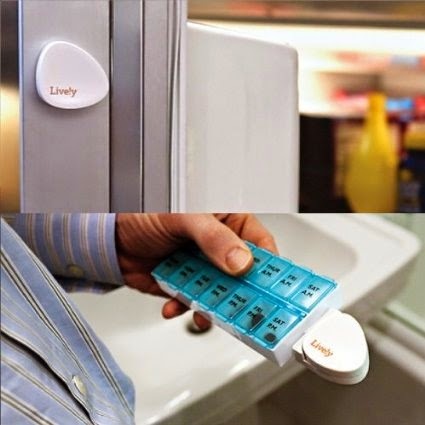 So each time you set up your loved ones pill box be sure you are in a space with minimal distractions and always check and recheck yourself before administering. Caring for a love one can often have an impact on finances...below are some suggestions which can be helpful. Far too often it seems that as an individual ages and their body begins to be a series of diagnosis, the normal course is to prescribe a medication that will help one condition but be antagonistic to another. Doctors are trained to treat diseases but what happens when in reality continued treatment see futile and somewhat cruel. How many times can a patient's treatment course become a cycle of hospitalizations, test, medication, discharge, emergency room visits back to hospitalization? I am certain many loved ones ask themselves this same question with often no resolve. I read a touching article in the Health section of my local paper which I believe would be the humane thing for physician's to do - when their patient has entered into that revolving cycle, take a step back and instead of them deciding what to do, ask their patient what can he/she do for them. What are their goals at that point of their life and how can he/she assist them in reaching their goal. In the article when that question was posed to the physician, he said he desired to live the remainder of his life without falling and remain at home until his death. His doctor told him that he would order physical therapy and hospice care, being honest that he wasn't sure if physical therapy would prevent his falling but they could give it a try. For that patient's last few months of life he was at peace...no more hospitalizations, no more test, no more falls and dying in his home. To me this is medicine at it's best. Read a touching article "A Doctor Discovers an Important Question Patients Should Be Asked"
It wasn't until recently after receiving a message from a dear friend that I even gave any thought to "hey you"...you've finally joined the club where you've earned the right to say "SENIOR DISCOUNT PLEASE". Now it depends on the establishment the age at which this request is honored but you never know unless you ask for it. By all means if you've invested in the AARP membership always be ready to flip that card. Just recently I took my mom to Denny's for breakfast and they not only have a "SENIOR MENU" which is discounted but when I went to pay the bill and asked if they honor an AARP discount...indeed they did..15% off the bill. Check out "For People Over 50 Might Be The Best Thing You Learn All Day" for an extensive list of discounts.